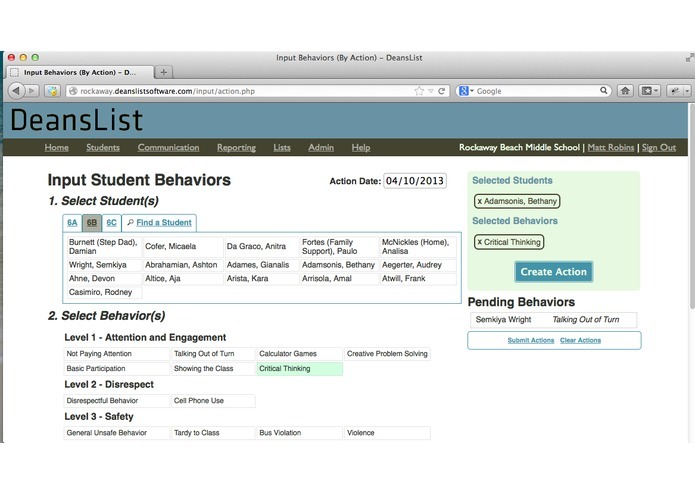 DeansList is a cloud suite that helps schools track and improve school culture, student behavior, and engagement. DeansList makes it easy for schools to track student observations, introduce points and paycheck-based incentive systems, and automate consequences (like detentions) and rewards. 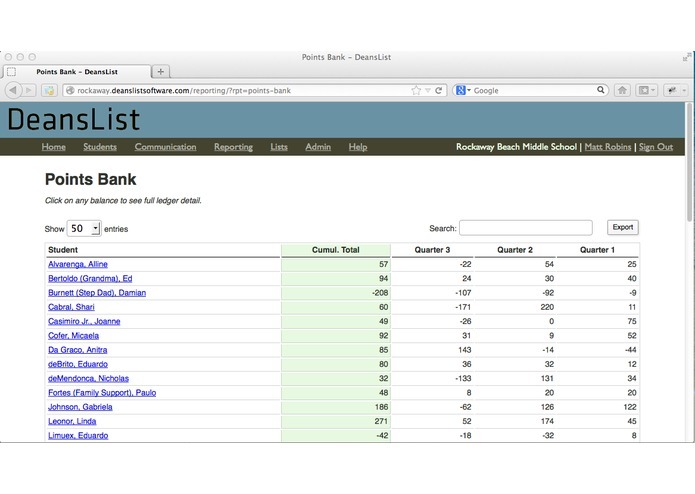 DeansList is highly customizable and can be easily adapted to the needs and philosophies of every school. 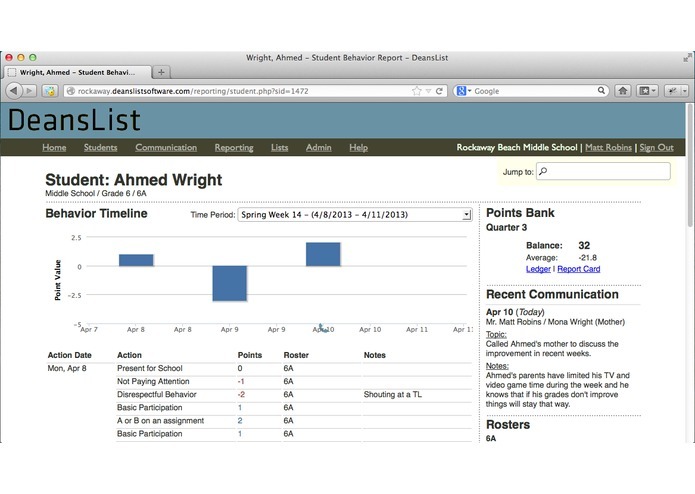 DeansList features high-powered analytics that make it easy for administrators to get a quick pulse on school culture, and enables teachers to do a deep-dive and assess a student’s behavioral performance across classes and teachers. 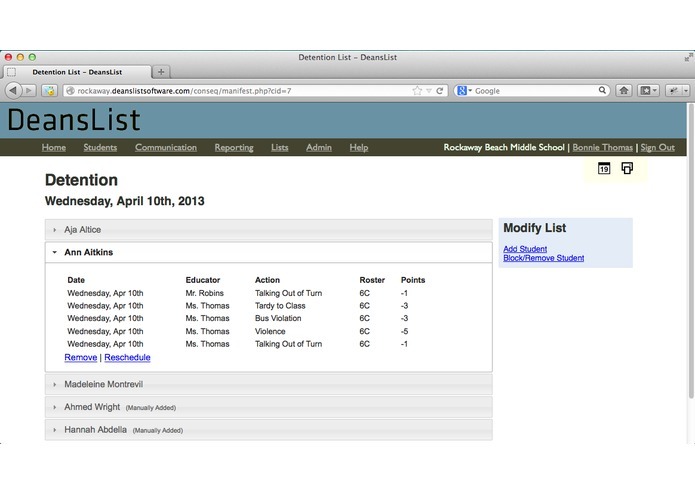 The software features a communication log where teachers can track conversations with parents. With DeansList, the entire school is can determine each parent’s awareness and response to relevant issues and use that to assess appropriate interventions.